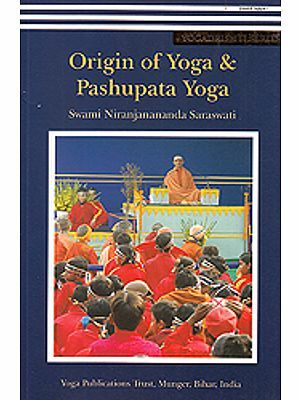 Yoga Nidra is a simple yet profound technique adapted by Swami Satyananda Saraswati from traditional tantric practice of nyasa. 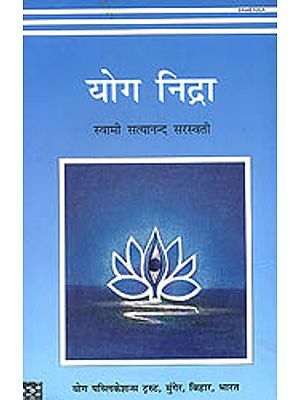 This text explains the theory of Yoga Nidra in both yogic and scientific terms and includes class transcriptions of the practice. It also presents the various applications of this versatile technique, which has been used for deep relaxation, in stress management and therapy, to enhance the learning process in education, to harmonize the deeper unconscious and awaken inner potential, and as a meditative technique. A research section is also include. 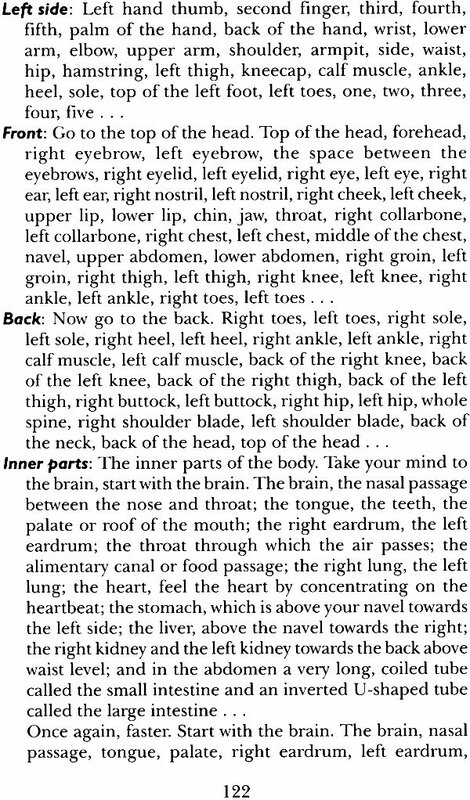 This systematic method of inducing complete mental, emotional and physical relasation is suitable for all practitioners. Swami Satyananda was born at Almora, Uttar Pradesh, in 1923. in 1943 he met Swami Sivananda in Rishikesh and adopted the Dashnami sannyasa way of life. In 1955 he left his guru's ashram to live as a wandering mendicant and later founded the international Yoga Fellowship in 1963 and the Bihar School of Yoga in 1964. Over the next 20 years Swami Satyananda toured international 1987 he founded Sivananda Math, a charitable institution for aiding rural development, and the Yoga Research Foundation. In 1988 he renounced his mission, adopting kshetra sannyasa, and now lives as a paramahamsa sannyasin. Yoga nidra, which is derived from the tantras, is a powerful technique in which you learn to relax consciously. In yoga nidra, sleep is not regarded as relaxation. People feel that they are relaxing when they collapse in an easy chair with a cup of coffee, a drink or a cigarette, and read a newspaper or switch on the television. But this will never suffice as a scientific definition of relaxation. These are only sensory diversions. True relaxation is actually an experience far beyond all this. For absolute relaxation you must remain aware. This is yoga nidra, the state of dynamic sleep. Yoga nidra is a systematic method of inducing complete physical, mental and emotional relaxation. The term yoga nidra is derived from two Sanskrit words, yoga meaning union or one-pointed awareness, and nidra which means sleep. During the practice of yoga nidra, one appears to be asleep, but the consciousness is functioning at a deeper level of awareness. For this reason, yoga nidra is often referred to as psychic sleep or deep relaxation with inner awareness. In this threshold state between sleep and wakefulness, contact with the subconscious and unconscious dimensions occurs spontaneously. In yoga nidra, the state of relaxation is reached by turning inwards, away from outer experiences. If the consciousness can be separated from external awareness and from sleep, it becomes very powerful and can be applied in many ways, for example, to develop the memory, increase knowledge and creativity, or transform one's nature. In the raja yoga of Patanjali there is a state called pratyahara where the mind and mental awareness are dissociated from the sensory channels. Yoga nidra is one aspect of pratyahara which leads to the higher states of concentration and Samadhi. About 35 years ago, when I was living with my guru, Swami Sivananda, in Rishikesh, I had a very important experience which triggered my interest in developing the science of yoga nidra. I had been appointed to watch over a Sanskrit school where small boys were learning to chant the Vedas. It was my duty to remain awake all night to guard the school while the acharya was away. At three a.m. I used to fall into a deep sleep, and at six I would get up and return to the ashram. Meanwhile, the boys got up at four, bathed and chanted Sanskrit prayers, but I never heard them. Some time later, my ashram was holding a large function, and the boys of that Sanskrit school were brought to chant the vedic mantras. During the function they recited certain slokas which I did not know, yet somehow I felt that I had heard them before. As I listened, the feeling grew stronger, and I tried in vain to remember where and when I had heard them. I was absolutely certain that I had never read or written them, yet they sounded so familiar to me. Finally, I decided to ask the boys' guru, who was seated nearby, if he could explain the meaning of this. What he told me changed my entire outlook on life. He said that this feeling of familiarity was not at all surprising, because my many times while I was sleeping in their school. This was a great revelation to me. I knew that knowledge is transmitted directly through the senses, but from this experience I realized that you can also gain direct knowledge without any sensory medium as well. That was the birth of yoga nidra. From that experience, further ideas and insights came to my mind. I realized that sleep was not a state of total unconsciousness. When one is asleep, there remains a state of potentiality, a form of awareness that is awake and fully alert to the outer situations. I found by training the mind, it is possible to utilize this state. After this discovery, I began studying the tantric scriptures in a new light. I came across many important but little known practices, which interested me greatly. After practising them myself, I decided to construct a new system called yoga nidra which would incorporate the essence of these practices without having complicated ritualistic drawbacks. In a similar manner, in the Hridayi-Shadanga-nyasa, certain mantras were placed at the various parts of the body. The present form of yoga nidra, which I have devised, enables people who are unfamiliar with Sanskrit mantras to gain the full benefits of the traditional nyasa. It can be beneficially practiced by people of any religion or culture. In the beginning I used to call this practice 'yogic sleep', but now I have become more aware of the vast potentialities of yoga nidra and I think that yoga nidra is nothing but yoga nidra. If you ask me to translate yoga nidra into French or Spanish, I will say 'yoga nidra'. It is an international practice. Since devising the practice, I have carried out many experiments to validate these ideas. First I tried it on myself and then on different people. I even succeeded in training an Alsatian dog. Later on I experimented with some of my disciples and with many children, giving them knowledge, experience and instruction while they were sleeping soundly. One of my most interesting experiments was with a little boy who presented himself at my ashram for sannyasa. I wanted to send him to school, but he flatly refused. He was a very naughty boy, an absolute monkey. All day long he broke things, harassed visitors and caused accidents. 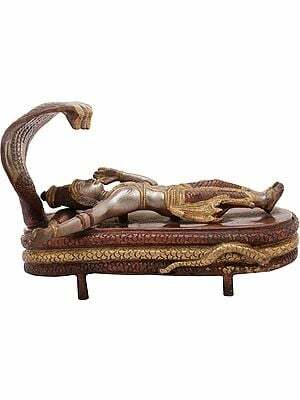 Finally he became such a liability for the ashram that I decided to try yoga nidra on him. I began by chanting the 15th chapter of the Gita to him about three minutes after he had fallen asleep. Then when he got up in the morning I would have him read through the chapter, which he would do, on course, mindlessly. After one week he was able to recite the whole chapter by heart. When this succeeded I went ahead with other texts, and in this way I managed to teach him Srimad Bhagawatam, Upanishads, Bible, Koran, English, Hindi, Sanskrit, all that I knew, while he was sound asleep. Now that boy is twenty-one and I have sent him to the USA. He speaks eleven languages, and writes and lectures in English better than I do, yet he has never been to school. All of his studies and learning took place within that two year period when I gave him yoga nidra, and he does not even remember it. Soon afterwards I made another experiment. Thirty people were practising yoga nidra and about ten of them were snoring loudly. At that time I instructed them, 'When I say Hari Om Tat Sat, you must get up.' I repeated it twice. When the yoga nidra was finished I said 'Hari Om Tat Sat' and everybody sat up, even those who had been snoring throughout. I asked them how they had awakened. They said, 'Suddenly'. They did not hear the last Hari Om Tat Sat or even the one in the middle of the practice, but somehow they had still followed my instruction. Now, this is a very significant factor. It means even when you sleep, your self is awake and aware. From these experiments I have drawn my own conclusions. Deepest sleep may not be sleep at all. Perhaps when you are in deep sleep at night, you have more awareness, more potential, than when you are in the dreaming state. This means you can learn ore when you are sleeping than when you are awake and this is how we are utilizing yoga nidra for the evolution of the mind. How does this happen? The answer is simple. When the relaxation is complete, the receptivity is greater. When the consciousness is complete, the receptivity is greater. When the consciousness is connected to all the senses, the receptivity is less. This is the secret of yoga nidra. Due to the intellectualization process, the knowledge that goes into the brain does not really impress itself there. But when you withdraw your mind a little bit, and enter into a state where you are neither in deep sleep nor completely awake, whatever impressions enter the mind at that time become powerful, and they remain there. There are distinct levels of mind. Some are very hard soil; some are very tender soil. The conscious mind is like hard soil because it has intellect and logic in operation. Intellect is a process of analyzing things. It does not accept everything; it rejects as well. But the deeper consciousness is not like that. Whatever impression you plant within the subconscious mind cannot be rejected. It will grow and the fruits will enrich every aspect of your life. Therefore, you should not be worried if you sleep in yoga nidra. On the other hand, maybe that is more powerful. But, you must keep one things in mind: 'I am not going to sleep.' You must keep one thing in mind: 'I am not going to sleep.' You should not try to sleep. 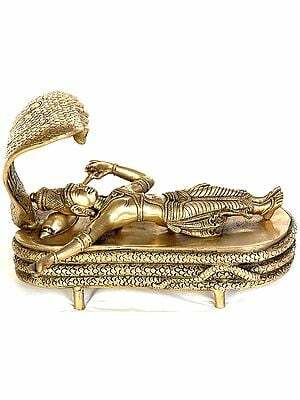 You should try to keep awake, because if you sleep, then it is not yoga nidra. Supposing you play a tape, but you go to sleep and hear nothing. Then what you should do is replay the tape in the morning when you wake up. Listen to that replay with bridge between conscious and unconscious. This is how languages are learned. You can learn anything like this. If you have certain habits which you want to overcome, the suitable seeds or sankalpas should be first put into the unconscious and then you must listen to them during consciousness. This is a very important science of yogic self-transformation for the future. In yoga nidra, the consciousness is in a state between waking and sleep, but it is subject to neither. In modern psychology this has been termed 'the hypnagogic state' but I prefer to call it 'the hypnayogic state'. But the best name of all is 'yoga nidra'. In this state the mind is exceptionally receptive. Languages and other subjects can be learned rapidly. Suggestions given at this time are successful in removing unwanted habits and tendencies. In fact, yoga nidra can be used for directing the mind to accomplish anything. This is the secret of the extraordinary accomplishments of great yogis and swamis. The practice of yoga nidra enables one to receive intuitions from the unconscious mind. This state is the fount of artistic and poetic inspiration. It is also the source of the most creative scientific discoveries. Wolfgang von Goethe used the inspirations and intuitions from this state to solve problems arising in his work. In dreams occurring in this state, Kekule realized the circular molecular structure of benzene, Noble laureate Niels Bohr saw the planetary structure of the atom, and Einstein accelerated his awareness to the speed of light in the famous 'thought experiments' which led to the theory of relativity. The intuitions received in yoga nidra enable one to find within himself the answers to all problems. One's true nature and integrity manifest, enabling him to live a meaningful and peaceful life in any environment. This is the opening of the 'third eye', which takes the consciousness beyond the conditioned personality with its tensions and complexes. No longer emotionally identified with the mind and body, one's entire being is pervaded with divine consciousness. This is the real Self, inherent in which one is no longer deluded."